It was a massive leap from his tally of 863 votes last week. He won the prize last year as well and this year got into the public eye by scoring a thousand runs. But Rodrigo is closely followed by Royal College’s Lasith Embuldeniya who leaped from the third slot to the second position dislodging Ramesh Nimantha from St. Servatius College Matara. Also rising up in the ranks is Trinity College bowler Ravin Sayer who polled 607 new votes to add to his 586 of last week, putting him in the third slot. 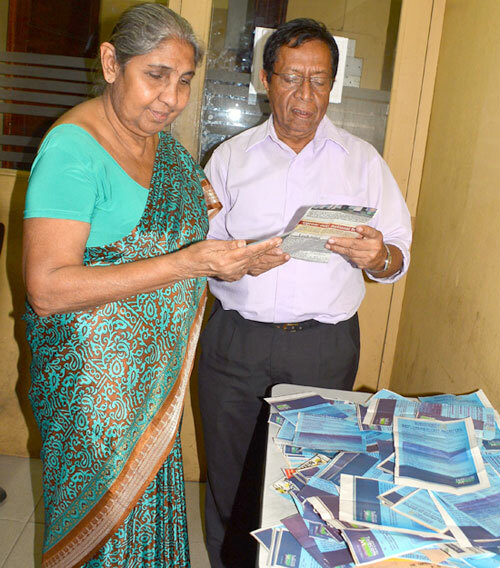 While Embuldeniya polled in 771 new votes, Nimantha could manage just 231 new votes. 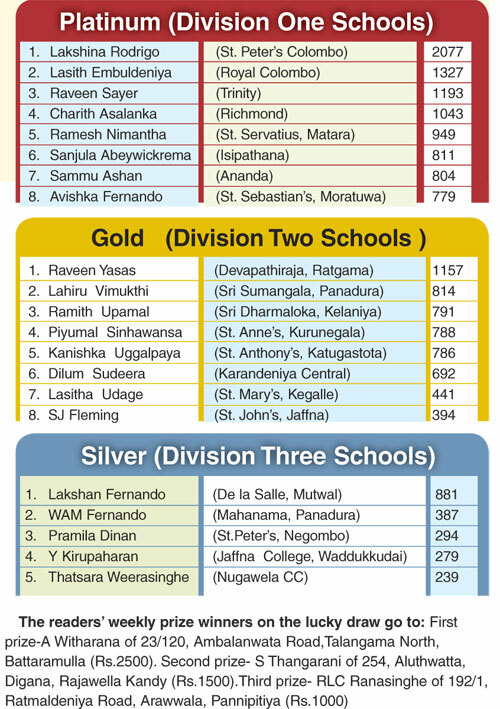 Richmond College’s Charith Asalanka who captained Sri Lanka at the recent U-19 World Cup has also made steady progress rising from the bottom to the fourth position with 704 new votes.